B0682. (WAGNER) John Culshaw. 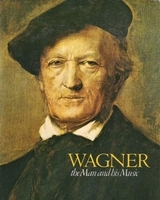 Wagner, the Man and his Music. New York, Dutton, 1978. 181pp. Index; Many Illustrations; DJ.